Cast: Stephen Chow, Ng Man Tat, Law Kar Ying, Yammie Lam and Karen Mok. 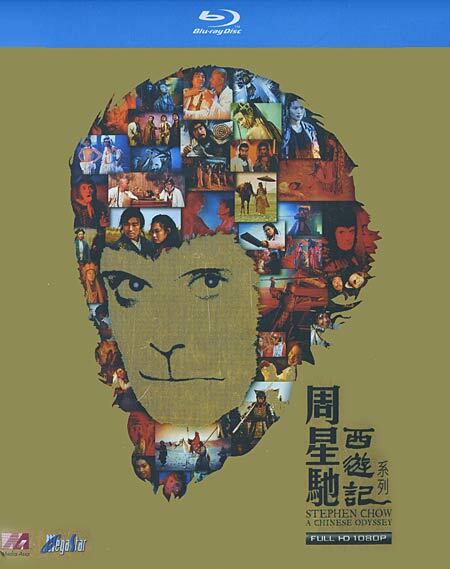 500 years ago, the Monkey King (Stephen Chow) commits a sin by stealing Pandora’s Box. He is punished by the Goddess of Mercy Guan Yi, and is caught to be executed. His master the Longevity Monk (Law Kar Ying), sacrifices himself to save his soul. 500 years later a lowlife outlaw leader called Joker (Stephen Chow) who lives with his group of robbers in a small hideout in the desert. When a young woman (Yammie Lam) arrives at their hideout, the men are shocked to find out that she is capable of martial arts, and she demands to stay at the hideout. Soon her equally strong sister Bak Jing Jing (Karen Mok) arrives, and they realize that they are surrounded by demons. Unaware that the two women are the demons, Joker falls in love with Bak Jing Jing. The two demons want to feast on the flesh of the Longevity Monk, as they become immortal if they do so. As far as folklores go this movie is rather on the creative side. I am not the usual fan of folklore, but I do know my folklore as they do represent the culture of different times in history. The monkey king is one of those stories that go across Asia, where most Asians know the story. I don’t really remember the Monkey King becoming human at all – which I guess this movie tried to do so that there would be less dressing up as a Monkey and/or using the supernatural powers of the monkey king. Aside from the twist in the story, the other confusing thing is that the characters suddenly pop up. I got confused a few times, but then again, the characters are known to the folklore so if you know your creatures/monsters/ghosts, it won’t be that complicated. But if you don’t, you would be shaking your head and massaging your temples. Besides that, the humor was so bad it was good. I mean I laughed at the ridiculousness and the silliness. I don’t usually enjoy movies like this, but it was okay to watch. To sum up: a funny movie, with a hint of creativeness to an old folklore.